A group of students at Youngstown State University are attempting to raise awareness about the issue of human trafficking in the area. 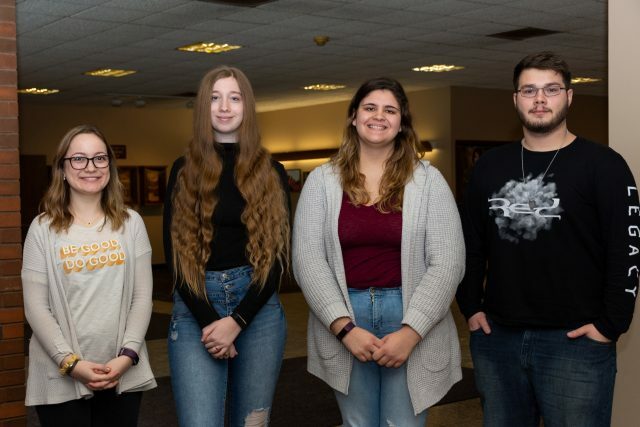 The Youngstown State University Coalition Against Human Trafficking is in the process of becoming a student organization whose goals, along with raising awareness, are to educate the YSU community and in turn, prevent human trafficking from happening in and around campus. Alexis Heldreth, a sophomore history major and treasurer of Y-CAHT, said the moment people become aware of the issues, they become safer and obtain the power to help halt human trafficking. Human trafficking has been a recurring issue in Youngstown. The heavy vehicular traffic that passes through the freeways and highways within and just outside the city are just one reason the crime is sometimes easy to commit and difficult to stop. Though the issue has been known to happen in Youngstown, more specifically near YSU’s campus, this is the first group of its kind at YSU. Heldreth believes there wasn’t a group previously because people tend to think of human trafficking as a national issue and not a local one. Heldreth was referring to Susan Laird, sociology professor at YSU and Vice President of the Northeast Ohio Coalition Against Human Trafficking. Laird has noticed many students in her classes having a passion about the topic, but was still surprised so many students wanted to join at the onset of the group. Heldreth said about 20 students attended the first meeting and indicated they wanted to be part of Y-CAHT. One student who joined the group was junior general studies major Francine Hazy who is now secretary of the group. Hazy is interested in joining the group because a student in one of her YSU classes had previously been arrested on human trafficking charges. With Y-CAHT, Laird hopes students understand the closeness of the issue just as Hazy did with her experience.